The Forum is a lovely and huge venue in Aberdeen City Center. The Forum is part of the PBDevco Group. There is a regular Salsa Night at The Forum. It is one of the most attractive Salsa Nights in town. The Forum is comprised of two floors: The balcony area overlooks the main hall and this offers a stunning, modern cocktail lounge with a vibrant and chic atmosphere, perfect for intimate gatherings or VIP guests. In addition the main hall continues the art deco theme of the original building and boasts a bar and public facilities, a theatre-sized stage and the biggest plasma screen in the City, using the latest digital technology. The Forum has an excellent sound and light system and is equally suited for shows, weddings, conferences and dinner dances, as it is for fashion shows, exhibitions and product launches. With a capacity for anything from 60-600 people, The Forum is a must-see for corporate hospitality and private functions. 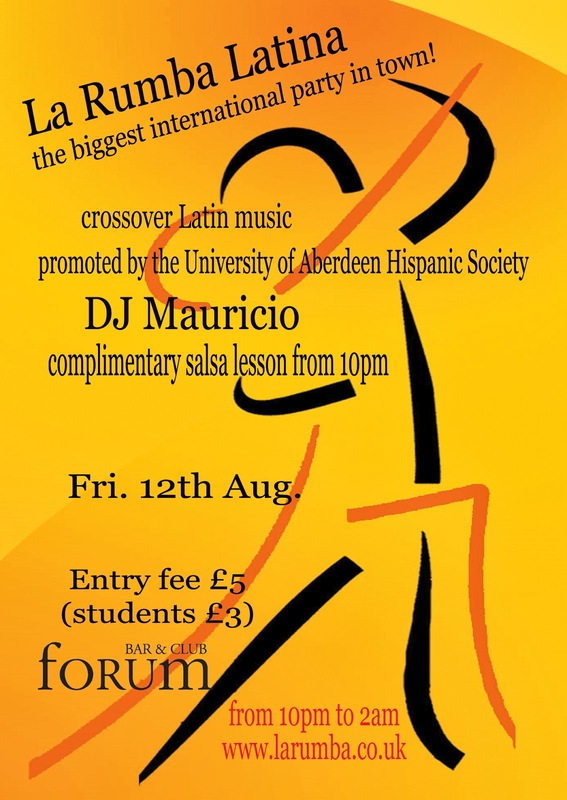 Learn to dance salsa, please visit www.salsaaberdeen.co.uk for further details ! If you know when the next Salsa Night is, please let us know by posting in the comments below.